Building a custom luxury home can be tricky business. 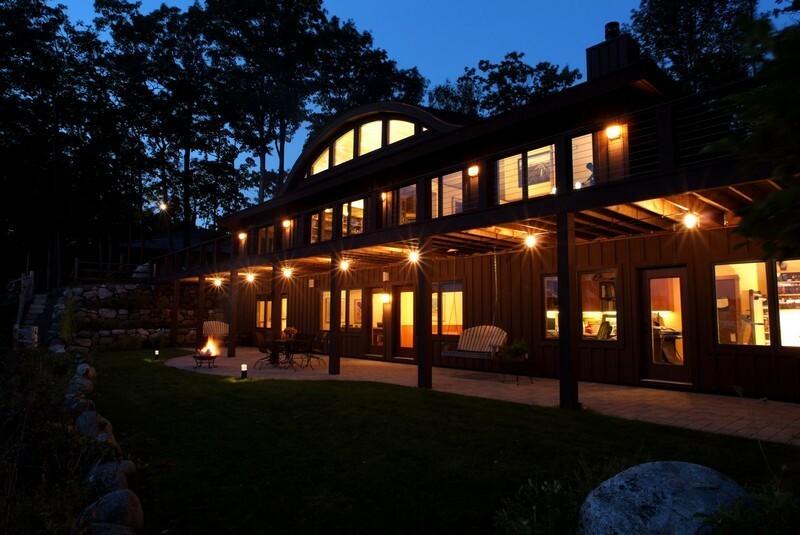 But when the home in question is a gorgeous 5,500-square-foot home perched above the well appointed town of Harbor Springs, MI, it can turn into a masterpiece. 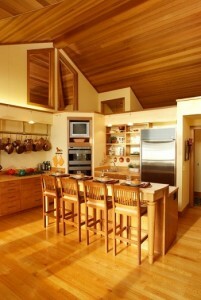 With a reputation for precisely elegant interiors, Adelaine Construction Inc. has in the decades of its existence accumulated an impressive client base. passion for woodworking is best represented in his favorite form: log construction. A family-run business, daughter Melissa Adelaine-Supernault and son Noah Adelaine have also joined the ranks at the successful firm running everyday tasks. He has built many homes from the foundation up; from cutting the trees on the property to laying the first foundation block to setting the ceiling rafters. His vast knowledge of building allows him to visualize every aspect of a project and ensure each task is done with accuracy. A one-hundred-foot long deck was built around a large boulder and a tree, which makes for a beautiful spot to watch the sunset across Lake Michigan, says Adelaine-Supernault. “The ‘Leap of Faith’ house was truly a labor of love for the homeowner/architect and our team,” says Adelaine-Supernault. 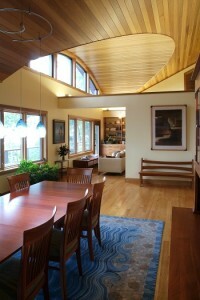 “Right before we started construction the homeowner/architect had a major health concern and didn’t honestly believe he might be here to enjoy the home, but his daughter told him to ‘take a leap of faith’ and move forward.” The homeowners Fred and Marita currently live there full time; they fell in love with the “vacation” home and sold their Tennessee residence. When Steve Adelaine and his son, Steve Jr., began building homes together in Harbor Springs more than thirty years ago, they had no idea the legacy they were creating. The family loved running businesses and already had a clothing store and restaurant when they decided to take their love of home building to a more professional level. 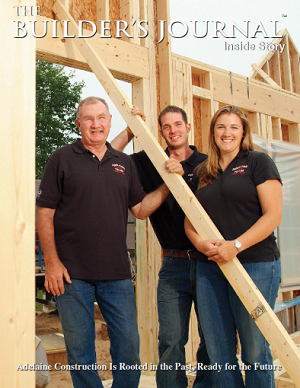 “They enjoyed working with their hands to build homes,” says Steve Jr.’s daughter, Melissa Adelaine. “And they enjoyed creating a home where nothing was before. I like that too.” Melissa is the third generation of Adelaines to pursue a career in residential home construction, and now her younger brother, Noah, has joined the family business, too. Steve Sr. has since passed away, but his son and grandchildren continue to bring honor to the Adelaine name with the quality of their work.